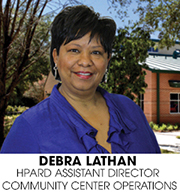 Community Center Operations directs the programs and facility operations for sixty (60) Houston area community centers. This section is responsible for the development, implementation, supervision and evaluation of all community center programming for youth, teens, adults and senior adult populations. Programs include but are not limited to: The After-School Enrichment Program, Summer Enrichment Program, After-School Achievement Program (ASAP), Instructional Sports, Nature and Environmental Education and Exploration Programs, Teen Programs, Senior Adult Program, Adult Arts and Specialty Crafts and a host of fitness activities and programs. In addition, this section oversees the operation of HPARD’s 5 Fitness Centers and 12 weight rooms which are designed to encourage patrons to exercise and enjoy a healthier lifestyle. 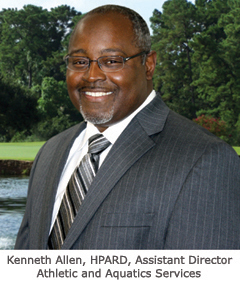 Athletic and Aquatics Services directs the programs and facility operations of municipal golf courses, tennis centers, pool sites, the Metropolitan Multi-Service Center, the Lee and Joe Jamail Skatepark, permits and reservations, adult sports leagues, and the Summer and After-School Meal Programs. The section offers recreational, educational and programs for children, adults and senior adults at these sites throughout the year. It staffs and operates 37 pool sites, 7 city golf courses (3 city courses are managed by private contractors), 1 state-of-the-art 30,000 sq. ft. in-ground skatepark, 3 staffed tennis centers, Adult Sports Leagues, a free youth soccer program for boys and girls ages 5 – 18, and the Metropolitan Multi-Service Center, which provides programs for people with disabilities and its indoor swimming pool. Permits and Reservations to reserve park space for personal, private events and ball fields. Additionally, this division coordinates the Summer Food Program an After-School Meal Program delivery of free meals including lunch and afternoon snacks for youth ages 18 and younger.